What was the evidence of the grace of God that Barnabas saw? As I reflect on this question, I am reminded of the two great commands. The first is to love God with my entire being and the second is to love my neighbor at least as well as I love myself. When Jesus was asked about the second command, he told the story of the Good Samaritan to illustrate what it looks like to love a neighbor. 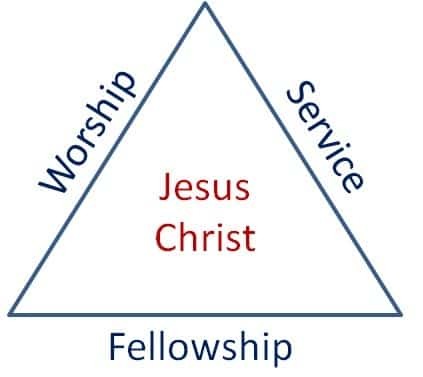 Taking this into consideration, it would seem then that the grace of God is best displayed when those who are different from each other are coming together in worship of God. It does not take much effort to relate to those who see the world the same way I do. It may take great effort to understand someone who comes from an entirely different background. In my mind, a local church should reflect the demographics of the surrounding community. That community will have people that belong to different political parties. That community will have people of different ethnic backgrounds. That community will also have people with different economic realities. Here Paul uses three contrasts to describe diversity. In the First Century, if you went to a communion service in a church as saw Jews and Gentiles eating together, you would have a sense that something unusual was taking place. The same would be true of slaves and masters sitting at the same table. If you went into a meeting where women were treated with respect and as coequals to the men, that would be an indication of something counter cultural taking place. It seems to me that the best indication of the operation of the grace of God would be when people with significant differences are worshiping together. Does your church reflect the demographics of the community in which you worship? Are you willing to be uncomfortable in getting to know someone different than you? Would someone who visited your home or church walk away rejoicing that the grace of God was on display? If you’ve spent any time in a church, there is a high probability that you have been exposed to the word stewardship. It is a great word and a great concept, but too often it is used only in reference to finances and giving.